Being one of the most popular ecommerce platforms, Magento has thousands of keen devotees thanks to its flexibility, great functionality, and a large community. More and more merchants opt for Magento to offer their products and services to online shoppers. 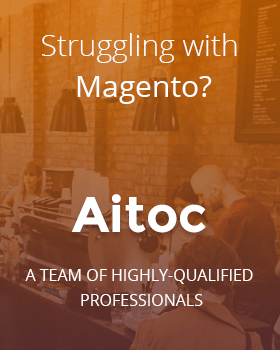 However, a dream of a never-ending flow of orders in Magento does not always turn into reality. Having been working with ecommerce stores for more than fifteen years, we have noticed some common mistakes that cause lower sales and keep customers away from an ecommerce website. Read on the article to find out what you may do wrong at your online store and how to make it right. Today search giants such as Google and Yahoo have an incredible power in the online world. They are not only a port of call for all the users but also a gateway to different sites. The higher ranking a store has in a search engine, the higher the chance is that potential customers will access it. But there are still many non-SEO-optimized ecommerce stores. If your site doesn’t get enough traffic, check your SEO strategy first. The keywords you target may be not as common as they used to be last year and you may need to update your keyword list. 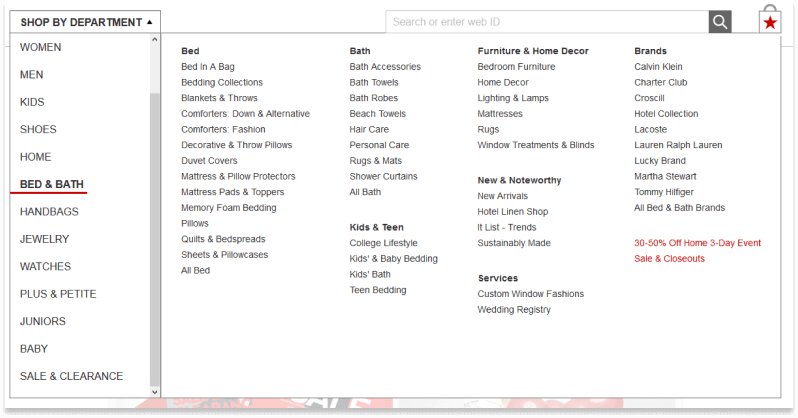 To increase your site’s visibility, add keywords to product pages as well. In Magento, for instance, you can do this by accessing a product page in the edit mode from the Admin panel. Almost 70% of users abandon their carts, and a too long or complex checkout process is one of the major reasons for that. Are you sure that your clients have a positive experience with your checkout? The best thing you can do is carry out A/B testing of the existing checkout page to discover which improvements are needed. One-page checkout is highly recommended. The necessity to complete multiple steps displayed on different pages frustrates users, causing them leaving the website. Remove unnecessary steps to save consumers’ time and make sure in your checkout fields you request for the information that you really need. 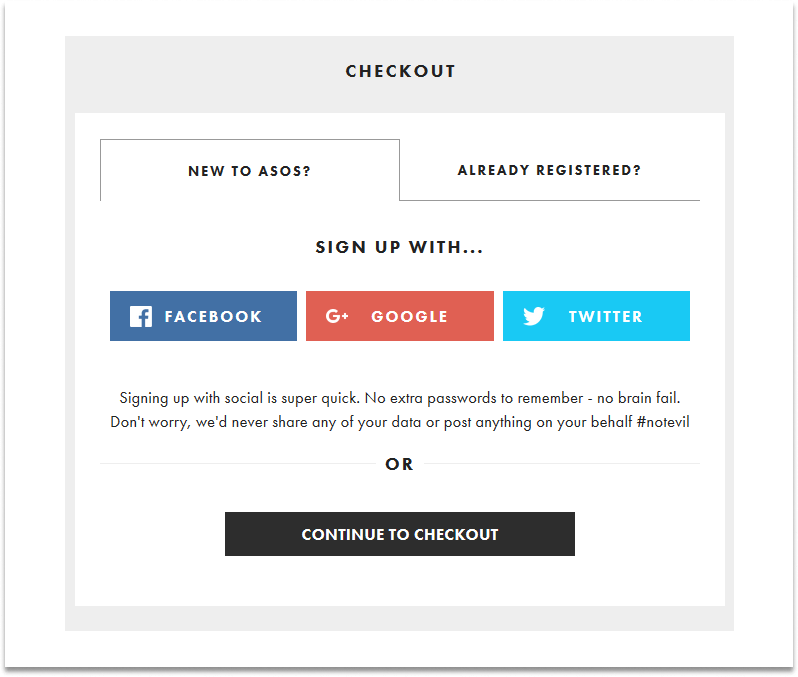 Enable guest checkout as many people prefer this option due to its ease. Add social login to allow newcomers to register faster using their social media profiles. Unexpected costs such as delivery fees are another reason for loosing a sale. Communicating shipping costs to site visitors as soon as possible will do you a good turn. Knowing how much they will have to pay for delivery in advance, shoppers will not click the ‘Close’ button at checkout. Product descriptions play a pivotal role when it comes to encouraging shoppers to place an order. They should be accurate and enticing enough to draw consumers’ attention and answer all the questions about the product that may arise. One more tip: a description must be unique even if you sell the same product as everyone else. Don’t just copy and paste a description sent to you by a supplier, rewrite it and describe some tiny but important details that no one else mentioned. You may even add a FAQ section at the bottom of the page. Remember that your store differs from a brick-and-mortar one, and your clients are not able to touch what you offer and see it from different angles by themselves. That’s why they expect that you’ll take care of that by offering them high-quality images and videos showcasing the product in real life. Update your product images regularly and hire a professional photographer and video maker to produce this content, and your efforts will pay off very soon. For Magento-driven stores online retailers can use the Product File Attachments extension to upload these and other materials on product pages. Customer reviews are an important element of product pages. If they are not available on your site, you lose many potential clients. By default, Magento customers can leave product reviews, thus providing the store with unique user-generated content that supports website’s SEO efforts by improving your store’s rankings and, more importantly, helps you build trust with potential clients. The study showed that people trust online reviews as much as their friends. It means that by disabling guest reviews you cut off reviews of all the customers who don’t want to log in to the website or have no account on your site at all. 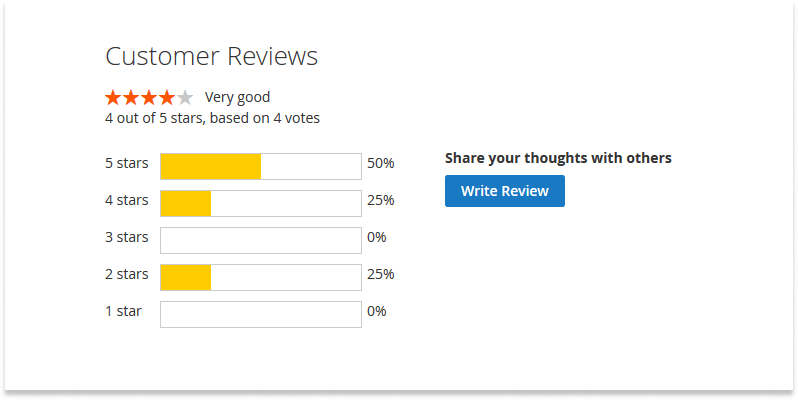 If you have the ‘Customer Review’ section at your Magento store but there aren’t any customer reviews left, leverage the Product Reviews & Ratings extension to quickly increase their number. The tool helps retailers to encourage buyers to leave their feedback, allowing them to specify pros and cons of products, upload images, vote for most helpful reviews, and much more. Ecommerce navigation should be simple and intuitive to eliminate the risk of store abandonment. Product findability is key to any store’s success. Double-check that your products are easy to find and, preferably, display all the main product categories directly in the main site navigation. The top-level navigation should be clickable and tappable to improve conversions. And please don’t invent your own navigation design as it may take much time to get accustomed to it. Use one of the common design and navigation conventions instead. There are many different things ecommerce store owners should take into account to make their businesses prosper. 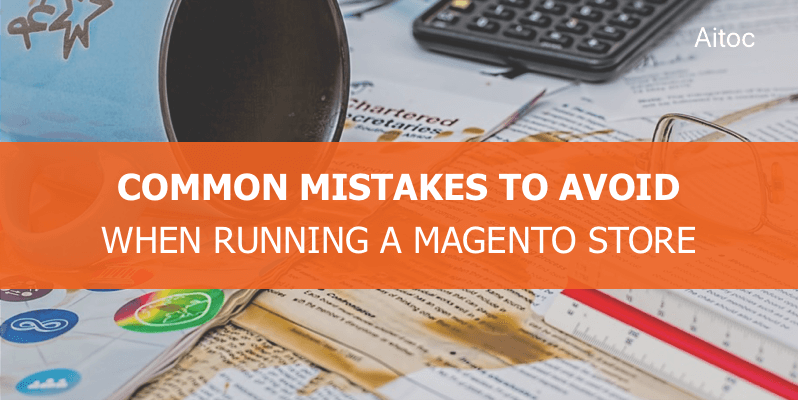 We hope that this article will help new Magento merchants eliminate mistakes and ensure a successful business launch and functioning. Take care of these pitfalls and the results will surprise you. Need someone who will help you to address these issues more effectively? Feel free to drop us a line at sales@aitoc.com – our experts definitely know how to make things work.